For children with brain tumors—and for their families—the struggles that come after a diagnosis can be unimaginable. Candice Dyer explores how some parents are lightening the burden for those who will come next, whether by establishing a biorepository for scientists, lobbying for more research dollars, or simply helping a family with its bills. Ten-year-old Ian Yagoda in his bedroom, surrounded by some of the stuffed animals he’s collected from hospital visits over the years. That’s his guinea pig, Honey, next to him. Yagoda, like others in his predicament, has undergone the kind of excruciating, high-stakes education that no one wants. Parents of children with brain tumors typically can rattle off mouthfuls of medical jargon with the fluency of a veteran Mayo clinician, particularly the unwieldy names of promising pharmaceuticals and where they stand in clinical trials. One fundamental lesson Yagoda learned early on is that scientists in this small field—there are only around 100 practicing pediatric neuro-oncologists in the country, and most of them know each other—often struggle to acquire not only funding but also a steady supply of living cancer cells for experimentation. Traditionally, excised tumors are “banked,” or frozen, if they are kept at all. Toward that end, in 2007, the family established Ian’s Friends Foundation, which supports innovative research projects at institutions nationwide, including local laboratories that have achieved some hopeful breakthroughs. The repository not only stores tumors, but it also grows new ones from the acquired tissue samples. “This biorepository takes us in a new direction,” says Dr. Tobey MacDonald, director of the Pediatric Neuro-Oncology Program at Children’s Healthcare of Atlanta and Emory University. Both a practicing physician and a researcher, he relocated five years ago from Washington, D.C., in part because of the number of patients in Atlanta. With as many as 150 diagnoses annually, we are in the top five in the country, creating a large patient pool to study in a city equipped with sophisticated labs at Emory and Georgia Tech. Much of the Southeast remains underserved by research hospitals, so Atlanta functions as a hub for patients from all over the U.S. The brain is the most complex and mysterious organ in the body, with an estimated 86 billion neurons controlling the nervous system, hormone production, and the five senses, as well as that more abstract faculty: the mind, the seat of consciousness. Even a heart can be transplanted, but no pig valve can replace the exquisite coils inside our skulls. A child’s brain proves especially delicate because it has much unfinished business, choreographing the development and maturation of the body. Hippocrates wrote, “Men ought to know that from nothing else but the brain come joys, delights, laughter, and sports, and sorrows, griefs, despondency, and lamentations.” The five neuro-oncology specialists who conduct research and treat patients in Atlanta are striving for more joy and fewer sobs of lamentations in their hallways. Maranda Martin at her grandmother’s house, where she’s been spending time since her son Brayden died in September. 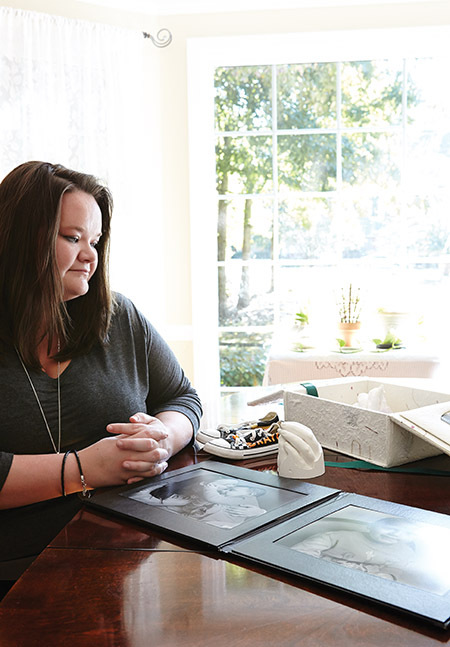 She keeps a box of keepsakes close by: a plaster cast of her son’s hands, a pair of his sneakers, and some portraits of him at age five, courtesy of Flashes of Hope, a nonprofit organization that creates uplifting photographs of children fighting cancer. She is glancing around the halls of Scottish Rite, with its Crayola-inspired scheme of primary colors. Surgeries take place at both the Egleston and Scottish Rite campuses of Children’s Healthcare of Atlanta. Long-term and rehabilitative care is handled here, where bald children—sometimes in scarves or tiny ball caps, and clutching security blankets with Spider-Man or Dora the Explorer themes—patrol the halls in tricycles, little red wagons, and plastic cars, all tethered to IV drips. Kleenex boxes sit discreetly within reach in every corner. “This place is a war zone for children,” Martin says bitterly. In the fluorescent lighting of the hospital break room, she looks puffy around the eyes from weeping, which she is careful to do outside of Brayden’s line of vision. She has trained herself to catch fitful naps on the backache-inducing cot in his room. He had gone home to Norcross for hospice, but complications from pneumonia have brought him back here, and she knows she will never carry him out of this place alive. She dabs at her eyes and recalls his diagnosis in a monotone. Most of the anecdotal patient histories in this hospital wing follow a similar narrative. The child exhibits headaches, vomiting, a lazy eye, poor balance or coordination, persistent drowsiness, or other vague symptoms that could mean nothing or everything. Pediatricians and general practitioners in the first line of defense often seem clueless and cavalier, at least in retrospect—a little too quick to downplay the anomalies, despite the mother’s foreboding intuition and rising panic. Parents learn to read the body language of medical professionals, to scrutinize facial expressions. They watch their child make and then lose best friends in the ward, and they see kids with the same type of cancer improve while their child gradually loses the ability to toddle, pedal, and speak. Of course, when their child is asleep, they pore over the Internet, where they discover a welter of contradictory information and pseudoscience. 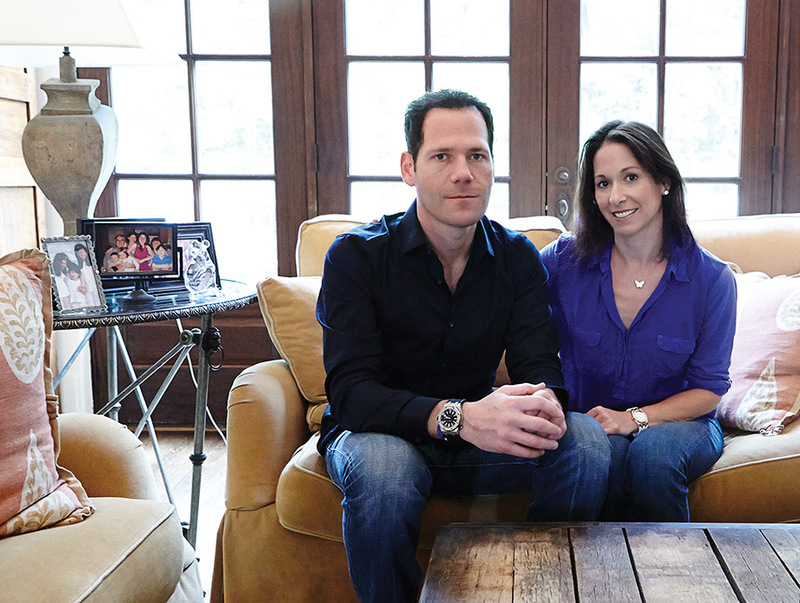 Like a surprising number of surviving parents, Bates continues to work in the emotional eye of the storm, serving as director of Patient and Family Services for the Brain Tumor Foundation for Children, which is the country’s oldest organization dedicated exclusively to pediatric brain cancer. Formed in 1983, it primarily handles financial and social support for struggling families, but it recently merged with the world’s largest nonprofit backer of research, the Pediatric Brain Tumor Foundation, further enlarging Atlanta’s regional and national profile in battling this disease. Cancer financials entail, in novelist Henry James’s phrase, a “terrible algebra” of suffering. Around 4,300 children and teens were diagnosed with primary brain tumors in 2013. “Pharmaceutical companies are driven by numbers, and so far there haven’t been enough statistics around pediatric brain tumors to convince them that they could make a large enough profit, at least when compared with other diseases,” MacDonald says, echoing others who yearn for some equivalent of an ice bucket challenge or pink ribbon campaign for awareness and fundraising. According to the Central Brain Tumor Registry of the United States, which is funded by the Pediatric Brain Tumor Foundation, more than 28,000 children and adolescents (age zero to 19) in the U.S. are living with a malignant or nonmalignant brain or central nervous system (CNS) tumor. CBTRUS estimates that of the children between the ages of zero and 19 with a malignant tumor, 540 will die of their disease in 2014. Many parents, in the meantime, turn to social media for financial and emotional assistance. “I didn’t have a car, which I desperately needed to get him to appointments,” Martin says. “I put that out there, and a friend of a friend at a dealership gave me a car. A foundation gave me some gas cards, too. You learn to juggle among different groups, but money is always tight everywhere.” She has also used social media to raise money for Brayden’s funeral and headstone. Martin once worked as a preschool teacher. (“I’ve always loved kids,” she says wistfully.) Since Brayden’s diagnosis and the ensuing departure of her husband, she has gotten by on a small Supplemental Security Income check. A year after the diagnosis, she realized she was pregnant again; she eventually gave birth to Brayden’s little brother, Mason. “I don’t know what I would have done without social media,” she says. Her Facebook posts tell a story in the pattern of an anguished seismograph: pleas for prayer; gratitude for small victories; crushing setbacks; photos of Mason grinning while Brayden hams it up, playing air guitar; and now, an ongoing stream of condolences. Brayden died in September. Yagoda, too, copes by channeling his fear into round-the-clock action. Among the initiatives supported by Ian’s Friends Foundation is the Tumor Migration Project, which focuses on mobility. Biomedical engineers at Georgia Tech, Emory, and Children’s Healthcare of Atlanta have deduced how to nudge a tumor out of inoperable interior spots to safer sites for extrication or targeted therapies. The proposal won the coveted EUREKA award (Exceptional Unconventional Research Enabling Knowledge Acceleration), which includes a $1 million grant from the National Institutes of Health. Advances in nanotechnology, dyes used to delineate cancer’s borders more precisely, electrical stimulation, and other tumor-shrinking and inhibiting approaches also are showing promise. Ian, the boy who gives away baseballs and other toys, has not directly benefited from these procedures yet, but he might some day. On October 25, Ian’s Friends Foundation hosts the seventh annual Evening of Inspiration at Loews Hotel in Atlanta. On November 8, the Pediatric Brain Tumor Foundation hosts Starry Night at Centennial Olympic Park, an 8.5K walk/run to raise money for the foundation and to draw attention to the 28,000 American children living with brain tumors.